As winter approaches, many people begin to miss the colorful flowers and plants that disappear with the cold weather. Some people even deal with seasonal affective disorder, or SAD. 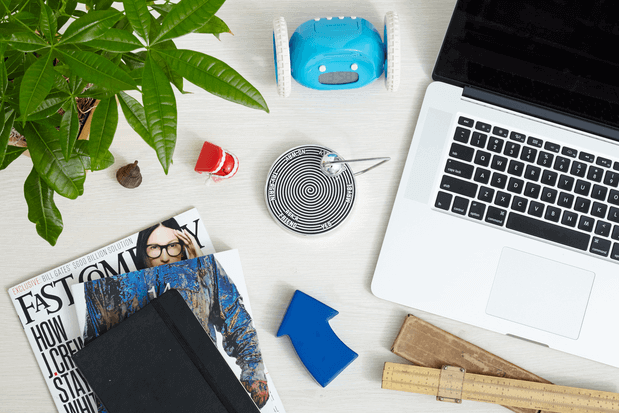 Fortunately, there are many low-maintenance plants you can add to your office space to give the atmosphere a much-needed dose of cheer. For this week’s post, I’m highlighting a gathering of appealing plants that need very little sunlight and water. Some of them even help with indoor air quality. Enjoy! 1.) 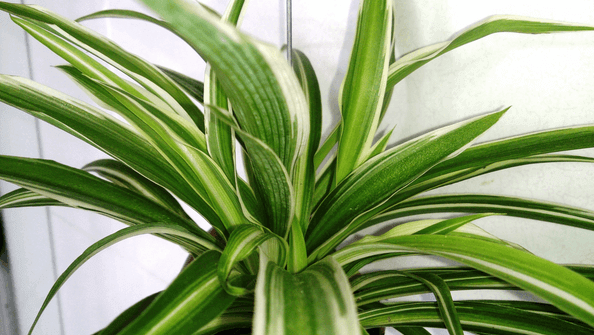 A Spider Plant: Spider plants are great for an office space that needs a plant with personality. The Vittatum variety has leaves of bright green that feature a white stripe. The layers of long, skinny leaves look like the legs of a spider. These plants need very little light and water to grow. Try misting your spider plant with a spray bottle every couple of weeks. 2.) 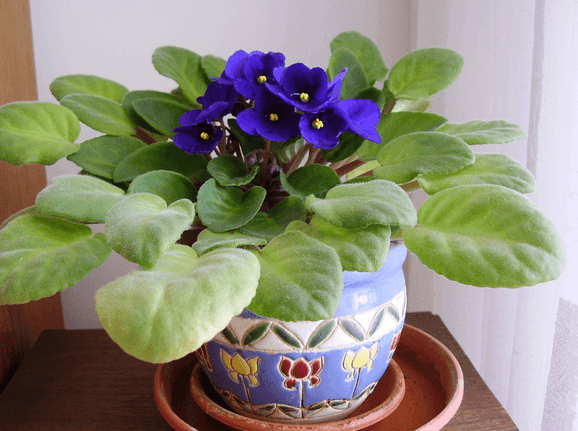 An African Violet: This is the perfect plant if you have a limited amount of space in your office. It’s surprising how such a small bloom can bring color and beauty to one corner of your desk. African violets need a small amount of water to keep the soil moist and flourish in indoor light. 3.) 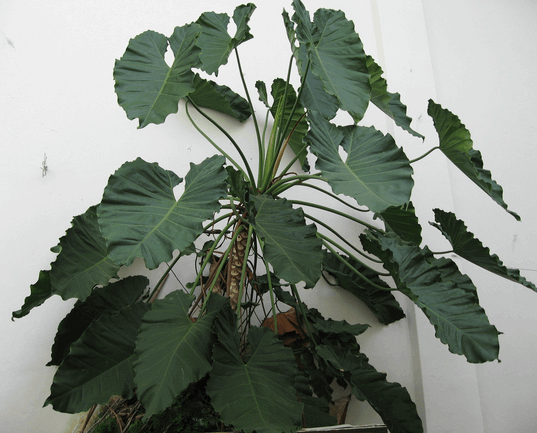 A Philodendron: Philodendrons are popular indoor plants because they don’t need direct sunlight to thrive. Furthermore, they need very little water. You can determine whether a philodendron needs water by sticking your finger about an inch down into the soil. If it’s completely dry, then the plant could use some water. 4.) 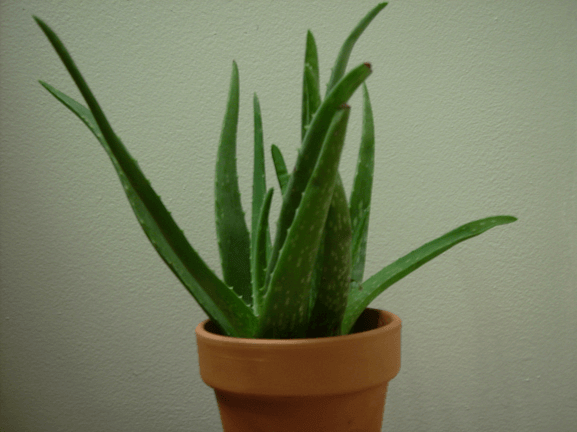 An Aloe Plant: Aloe plants need very little water, especially in the wintertime. They can grow in a small amount of light, and they improve indoor air quality by filtering out formaldehyde and benzene. I have a light green aloe aristata on my desk that I never remember to water. But this sturdy plant has added beauty to my home office for years. 5.) 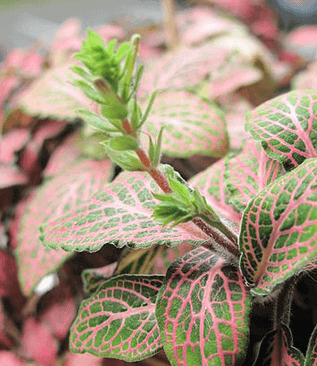 Fittonia: Need a plant that flourishes in fluorescent light? If so, a Fittonia plant is the perfect choice for you. In addition to being low maintenance, this plant adds interest to your office space. 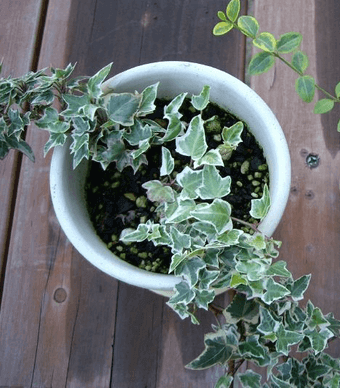 It has dark green leaves featuring white or pink veins that create a mosaic pattern. It is a living work of art! 6.) 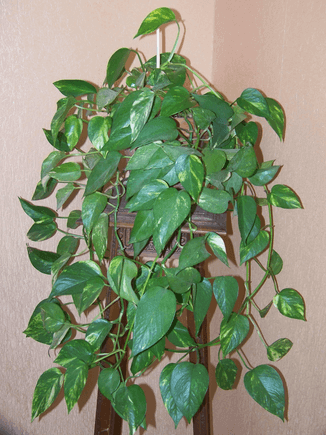 A Pothos Plant: Pothos plants do well in office spaces with a low level of light. In fact, they’re a popular plant to put in a bathroom! They require a small amount of water. Some of these hardy plants have even been known to grow in dry soil. Its large green leaves and gentle vines make this plant a familiar sight in many offices. 7.) 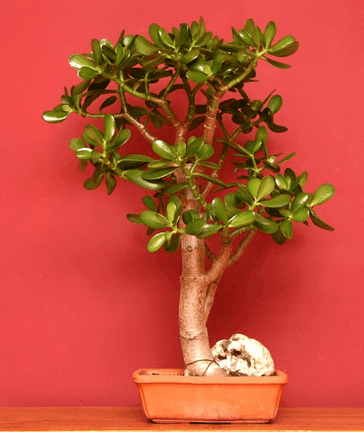 A Jade Plant: Jade plants need very little water and can live a very long time. These plants grow well at room temperature and feature thick green leaves that can instantly dress up a dull office space. 8.) 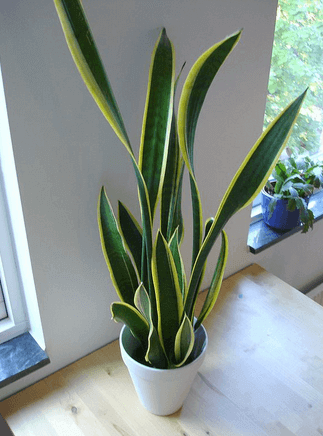 A Snake Plant: This plant is both attractive and practical. A popular type known as Sansevieria has dark green leaves with a yellow border. The leaves can grow to be three feet tall! This plant filters airborne pollutants including formaldehyde and benzene. A snake plant can go for weeks without water and can thrive in an area without much light. 9.) 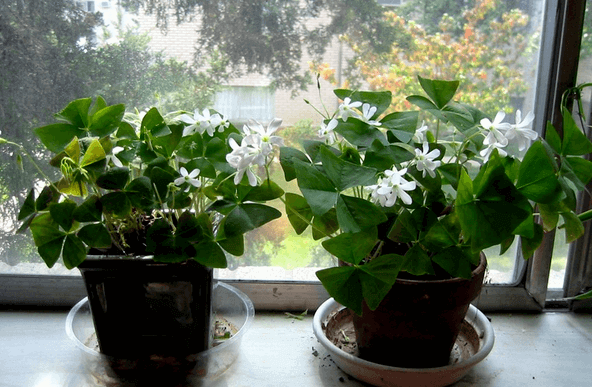 A Shamrock Plant: True to its name, this plant has leaves shaped like shamrocks. It features delicate white flowers and only needs to be watered once a week. It does well in an office area with filtered light. It may even bring good luck to your cubicle! 10.) English Ivy: This is a great option if you want an unusual plant for your cubicle. You can train the vines of ivy to grow over your desk or even up a trellis set against a wall. English ivy needs to be watered only when its soil is completely dry. This plant needs very little light to grow like crazy! So perk up your office space with a little greenery this winter! These plants are sure to remind you of the inevitable arrival of spring.